View More In Hard Drive Enclosures. 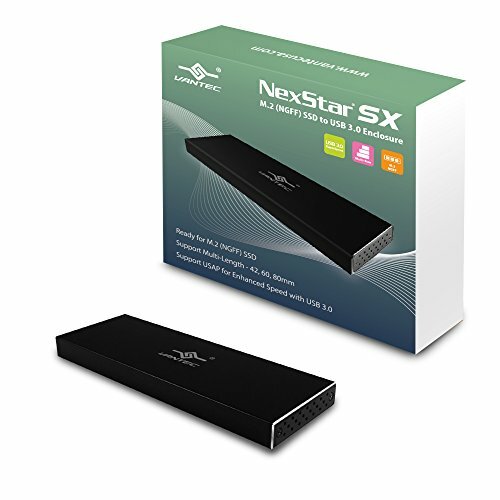 M.2 (NGFF, B-Key or B+M-Key) SSD to USB 3.0 Enclosure connects to USB port for ultra-fast performance, support M.2 sizes of 42, 60, and 80mm in length. It is very small and ultra-portable. Aluminum casing, support UASP, Bus Powered, Plug and Play.